This entry was posted in Uncategorized and tagged 747, A350, A380, infrastructure, METRO, Phoenix, Sky Harbor by amondt. Bookmark the permalink. I need to correct you as you did not research thoroughly. British Airways Daily flies nonstop from London to Phoenix both 747-400 and 777’s since 1999. When Lufthansa flew nonstop Frankfurt to Phoenix daily from 1999 to 2004 they also flew 747-200’s! As for the A380, unless I was dreaming, I flew over the Holidays a few days ago, a substituted aircraft British Airways A380 for the regular 747 to carry additional passengers on the very popular nonstop London to Phoenix flight. At one time BA use to continue the 747 flight to/from San Diego o n the Phoenix – London flight for about 21 months. I suggest if you want to be a reporter, learn to report the facts. Investigate and then write. I am a professional reporter for a large news firm with 3 letter designation. You need to learn how to be a news or blog reporter before you write! Thank you for the feedback. My blog is a work in progress and your feedback will help me find my voice regarding the topics I wish to write about. You’re correct regarding the BA and Lufthansa 747 services. The main point I was making is regarding the height of the new bridge. 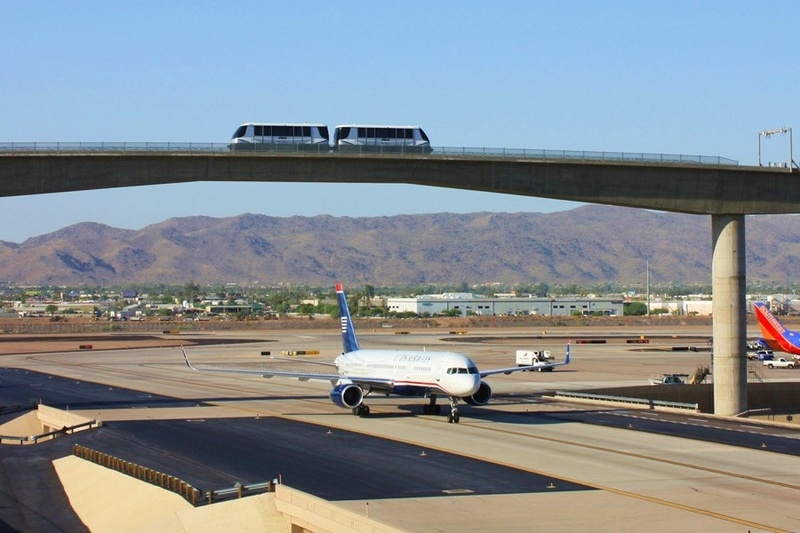 With the new American it will be very interesting to follow Sky Harbor as American realigns its network. I can’t find any articles in the news or blogs regarding the A380 to Phoenix. If you have any links I would appreciate it. Jiggs, dude, you really gotta chill. Why the nasty tone? “Professional”? Really? With that demeanor, not to mention grammar and sentence structure, I’d haul out a dictionary before casting any stones. What would that “large news firm” be that would associate with you, I wonder. Do tell so I can adjust my bookmarks accordingly. Professional is the restraint and graciousness with which the author responded to your snark. PS, I wouldn’t mind seeing those links either.